Very Good. 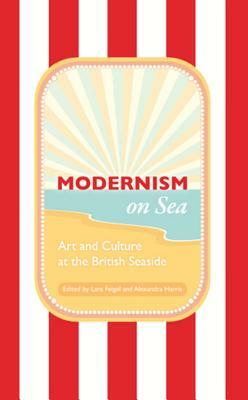 Modernism on Sea: Art and Culture at the British Seaside (Peter Lang Ltd. ), 2011-10-15. 282 p. Peter Lang Ltd. , 2. New. Editor(s): Feigel, Lara; Harris, Alexandra. Series: Peter Lang Ltd. Num Pages: 282 pages, 42, 10 coloured and 32 b/w ill. BIC Classification: 1DBK; ACXD. Category: (UF) Further/Higher Education. Dimension: 233 x 157 x 14. Weight in Grams: 512. 2011. 2nd Edition. Paperback.....We ship daily from our Bookshop.